There can't be many people who don't know who Thor is. The hammer wielding God associated with thunder, lightning and strength. 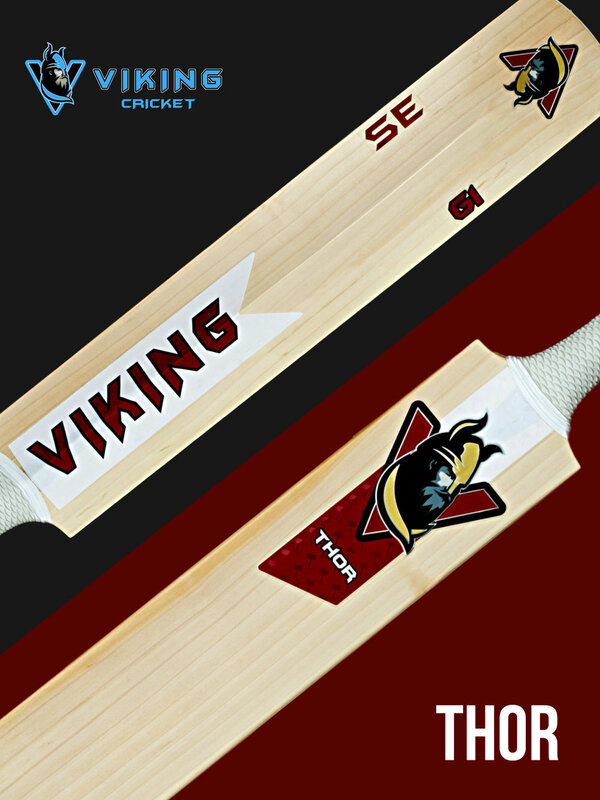 Our Thor cricket bat will give you devastating hitting power, with it's thick edges and wide spine area you'll have all the destruction to find those boundaries with it's Viking duck bill shape this bat is balanced to perfection due to it's weight distribution. The Thor features a 3D embossed logo and a matt and gloss finish. This bat doesn't just look good, it's made to destroy bowlers.